The modern trends suggest that people are getting inclined towards retro-age. Retro designs are getting noticed more easily and people seem to prefer them over modern and colorful designed. 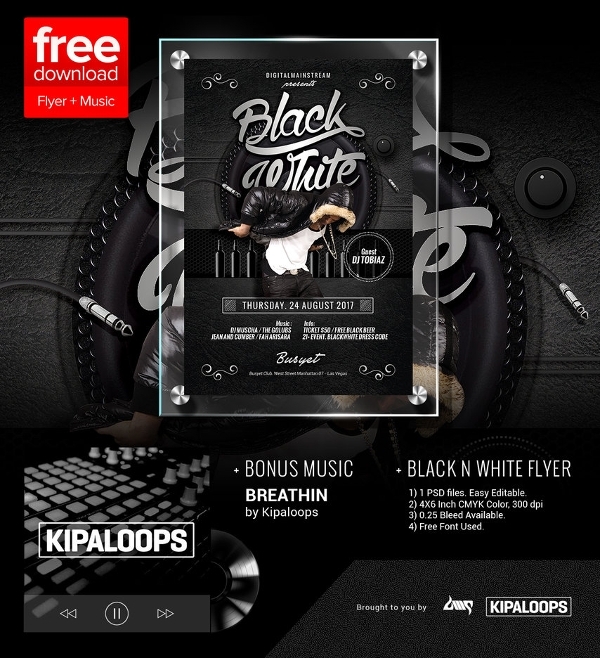 That is why black and white Music Flyer Template are so much in demand. 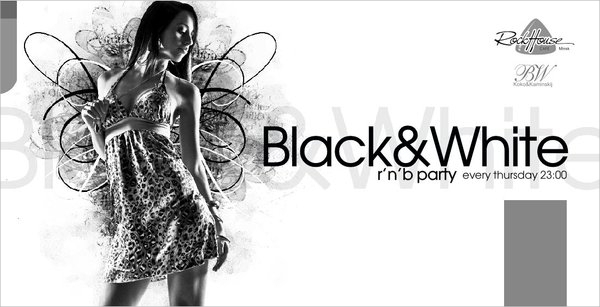 These are tailor made for clubs and parties or any musical event. 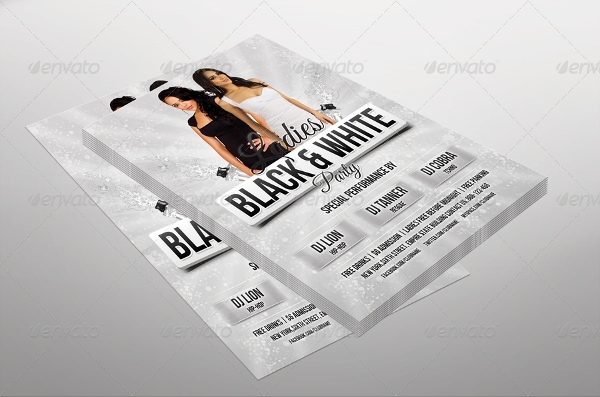 They can also be used as a banner in front of the venue to grab attention at once. 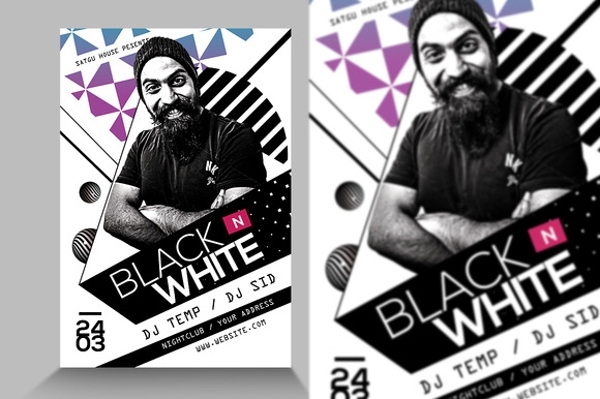 Some of the best and effective black and white flyer templates are listed below, all of which are going to serve your purpose with full satisfaction. 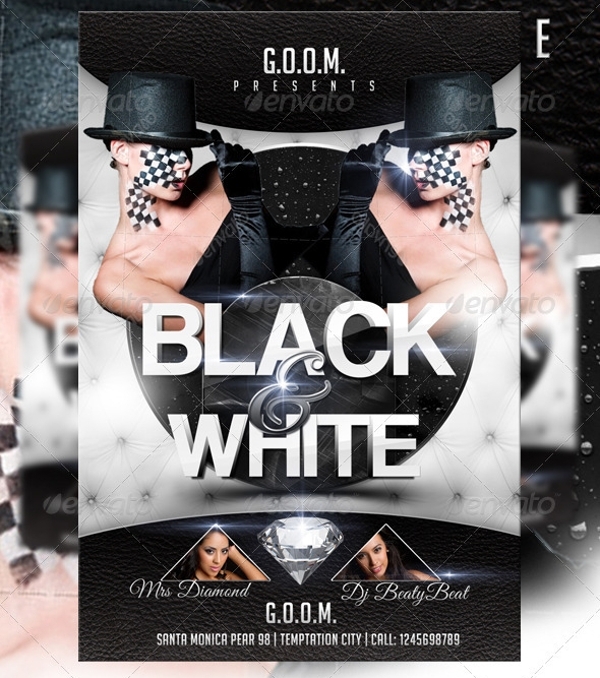 This classic party flyer is of dimension 4.25 x 6.25 with 300 dpi quality. It is print ready in CMYK mode. 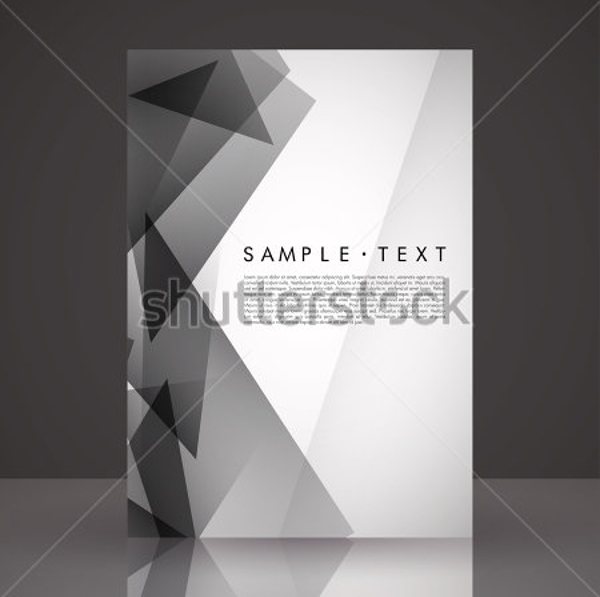 Texts and images are fully editable. You can use the template both for personal and commercial use. 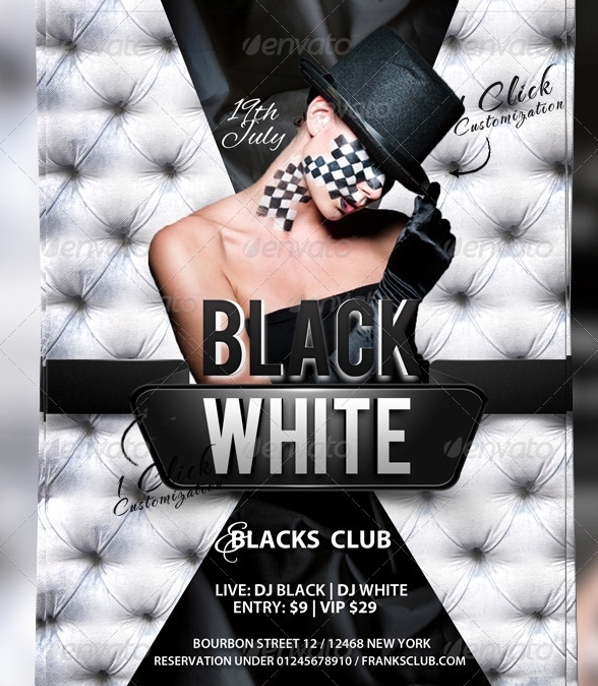 This modern and elegantly designed flyer is attention grabbing. It comes with millions of images, and illustrations which could be used to fill the white spaces. Use image editor for better tweaking. 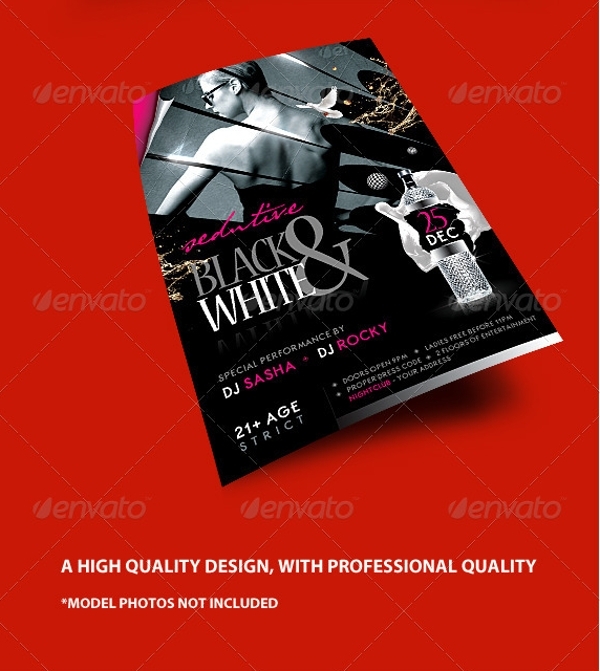 This uniquely designed flyer is sure to attract and create a temptation in audiences’ minds. It is better suited for adult parties. 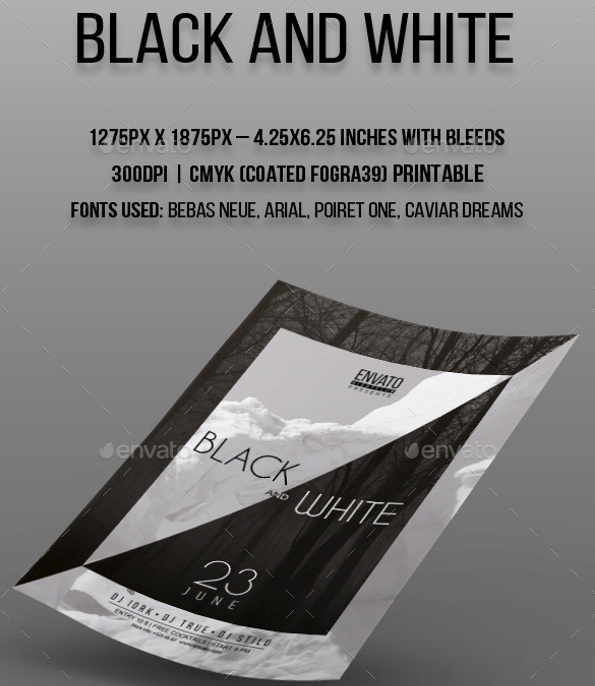 Its size is 5.25 x 7.25 inches with 300 dpi resolution. Multiple color combinations can be applied to it. 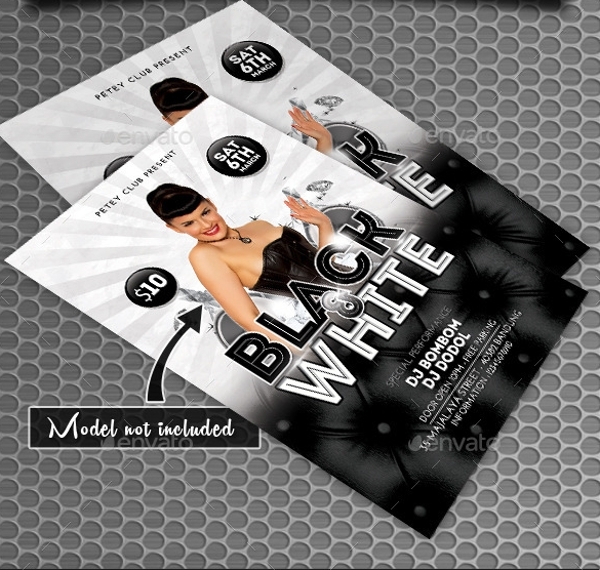 This beautifully crafted flyer comes with 3 alternative designs and images are replaceable. Several classic fonts are included in the bundle which could be used to match your need. 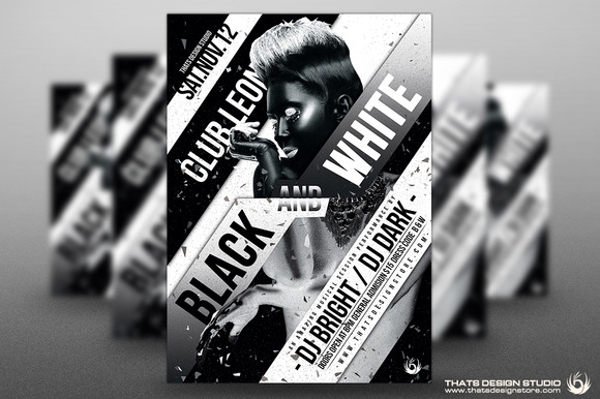 This world-class flyer is best suited for clubs and musical events. Its size is 4 x 6 inches with 300 dpi quality. It comes with a user manual to help in easy and fast editing of its components. 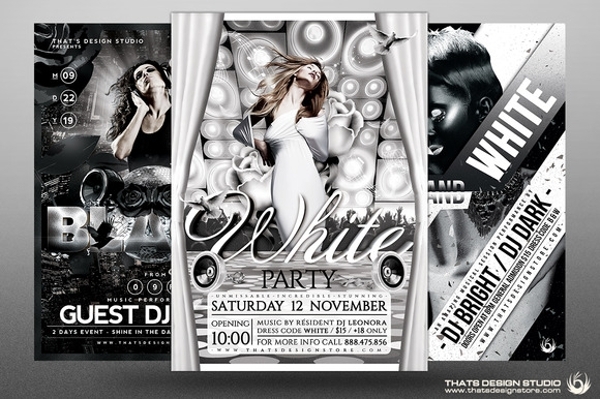 This beautifully designed photograph flyer provides you 5 alternative designs and it can be printed in A4 size. 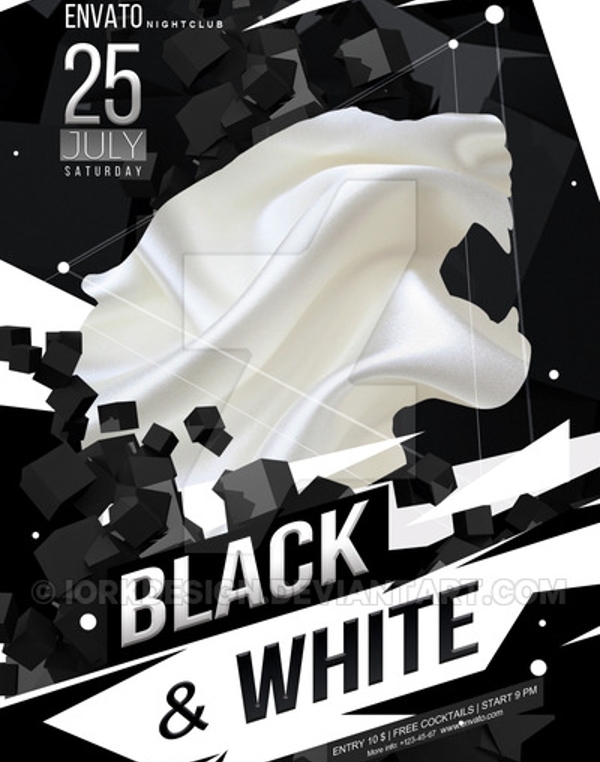 It also has pre-set 5 color combinations and elements such as logo and fonts can be customized. 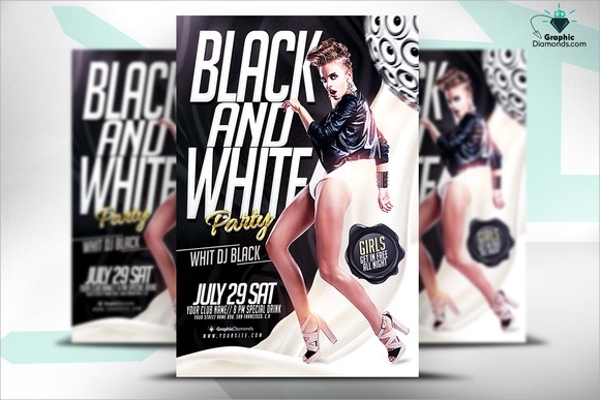 This retro styled flyer template comes with user manual where step-by-step editing of its components such as images, effects and fonts are mentioned. It is print ready with CMYK mode and 300 dpi quality. 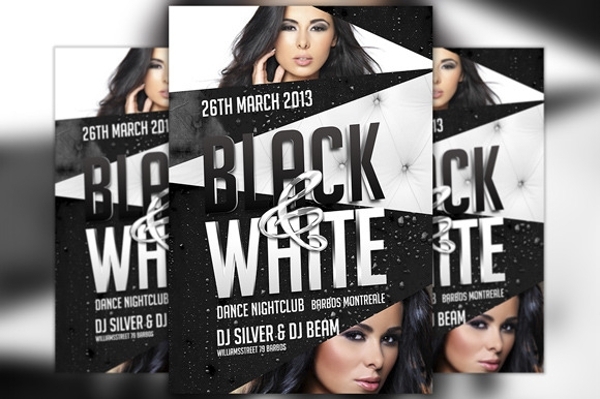 This wonderfully crafted flyer template is tailor-made for clubs and shows. 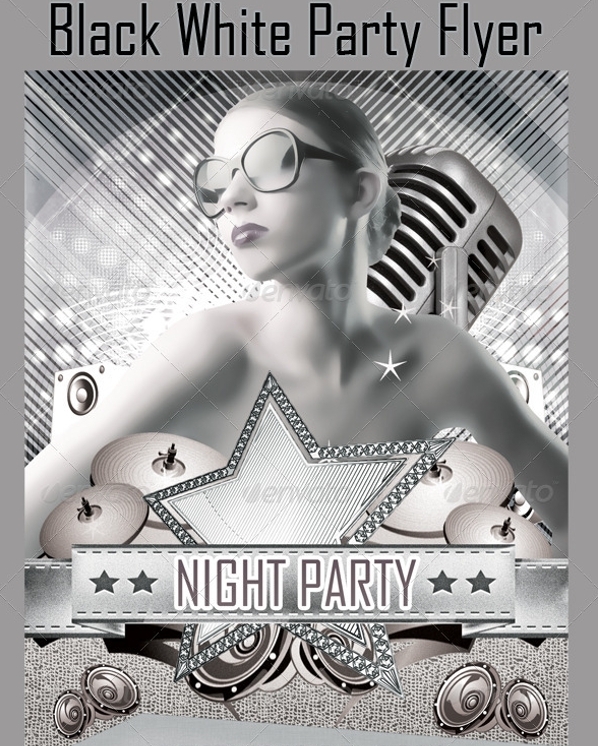 The ladies in the flyer can be replaced with any image and the color combination can be edited to match your club or event’s color. 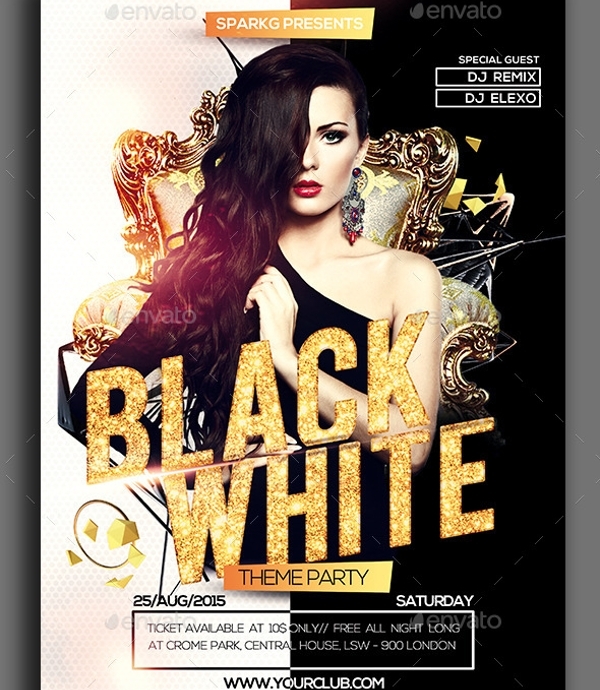 This seductive flyer template is very eye-catching and easily customizable. 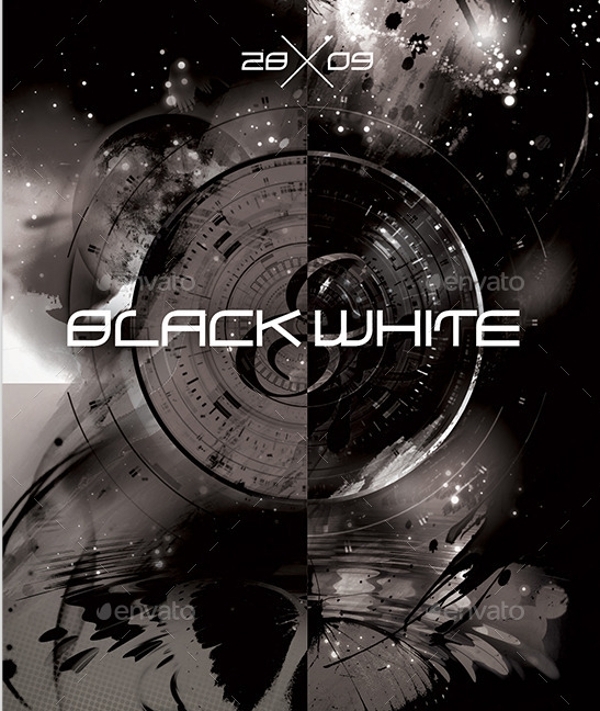 It has a dimension of 8.5 x 11 inches with CMYK 300 dpi quality. 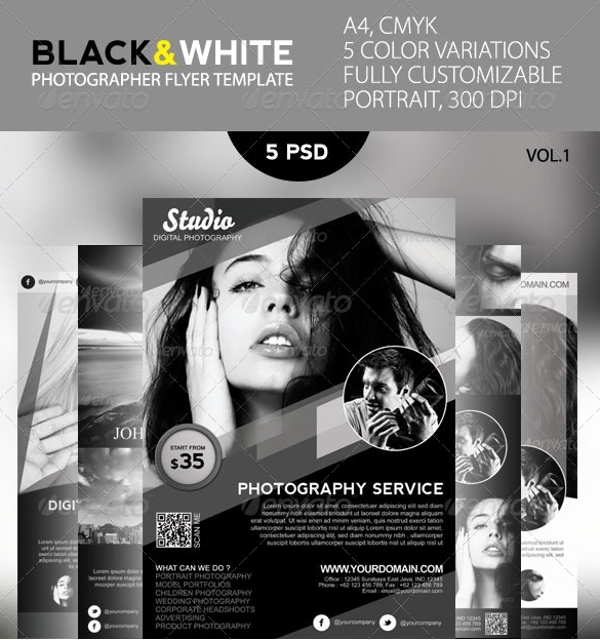 PSD file is well organized for tweaking objects easily. 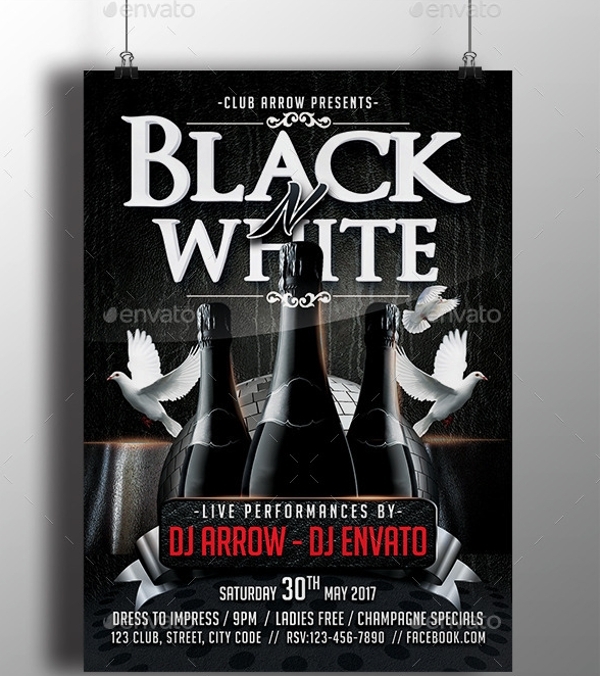 The entire above mentioned black and white flyer templates are fully customizable. They stand out in the crowd and are most striking to the eyes than the colorful ones. 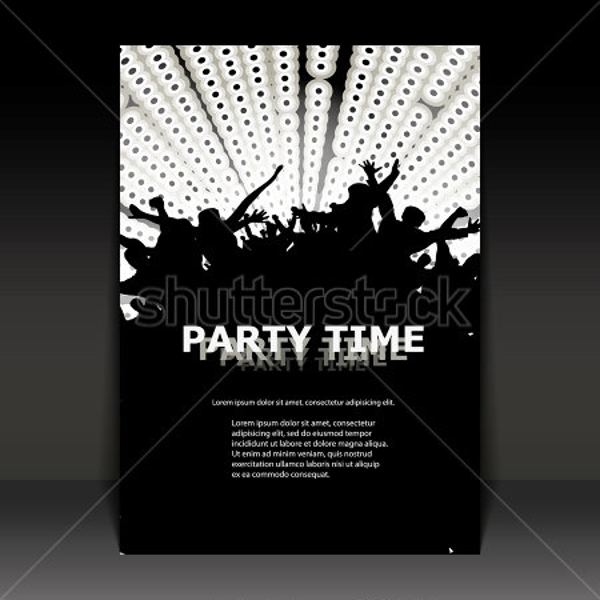 The next time you throw some party, don’t forget to use them and you will be stunned to see the responses.